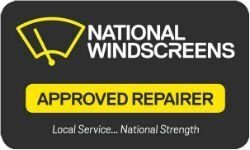 When you’re in need of windscreen repair, windscreen replacement or other mobile car window services in Stanthorpe and surrounds, you can rely on National Windscreens to provide the prompt response you need. Servicing Stanthorpe and surrounding areas such as Broadwater, Severnlea, Kyoomba, Dalcouth, Diamondvale and Applethorpe, we can assist with windscreens in addition to providing a range of other useful services such as car window tinting, car side window replacement and sunroof repair. Whether you require windscreen crack repair in Stanthorpe or rear window replacement in a nearby area such as Broadwater, Severnlea, Kyoomba, Dalcouth, Diamondvale or Applethorpe, National Windscreens can provide the assistance you need. Contact us today for 24/7 assistance when and where you need it.